Generally when I tell someone that I am a member of Toastmasters (Toastmasters International, TI for short) I get one of two reactions depending on wheather the person I am talking to has a notion of what Toastmasters is about, or not. When I tell someone, who has no previous idea about Toastmasters, that it is a public speaking club I often get an OMG reaction something like OMG why would anyone want to speak in public unless it was totally, absolutely, and almost barrel-of-a shotgun necessary. Although to describe Toastmasters simply as a public speaking club does not do it full justice. It is probably more properly described as a non-profit organization dedicated to improving the communication and leadership skills of its members. The OMG reaction is understandable, as a fear of public speaking is in the top ten of our greatest fears. Membership of TI is a great antidote to that fear. TI is a large organization with over a quarter of million members spread over a network of thirteen thousand clubs worldwide. Part of the ethos of Toastmasters is to support members on their Toastmaster journey. For example, an evaluation of a speech will focus on its good points as well as including some pointers for improvement. Toastmasters’ clubs welcome guests so if you would like to see what happens, without any obligation to join, please feel free to attend a meeting of your local TI club. TI is not a stuffed with egomaniacs who like to hear themselves speak. Nor is it the case that you need to be an extrovert to join and enjoy Toastmasters. In my case it is a bit of a paradox, given that my default mode is shy, that I like public speaking so much. I suspect the genesis of this liking goes back to my schooldays when I enjoyed both taking part and listening to debates. TI is very much on my mind this evening as tomorrow night I will be giving a speech at my TI club. The old adage ‘if you don’t prepare, prepare to fail’ is circulating around my brain, so I am off now to *fine-tune* my speech. No not all weird. I would love to hear you speak as I am sure your acting background would give your delivery great pzazz. Good for you, I, for one, think that all of us could benefit from a group like this. Good luck with your speech and let us know how it goes! Thank you Smidge for your good wishes, they are much appreciated. I hope your speech went well; I have a feeling that it did since you clearly enjoy public speaking. We had a Toastmaster come and speak to some of our adult language learners and they students really enjoyed hearing about the group. Thank you for that. The speech went well. 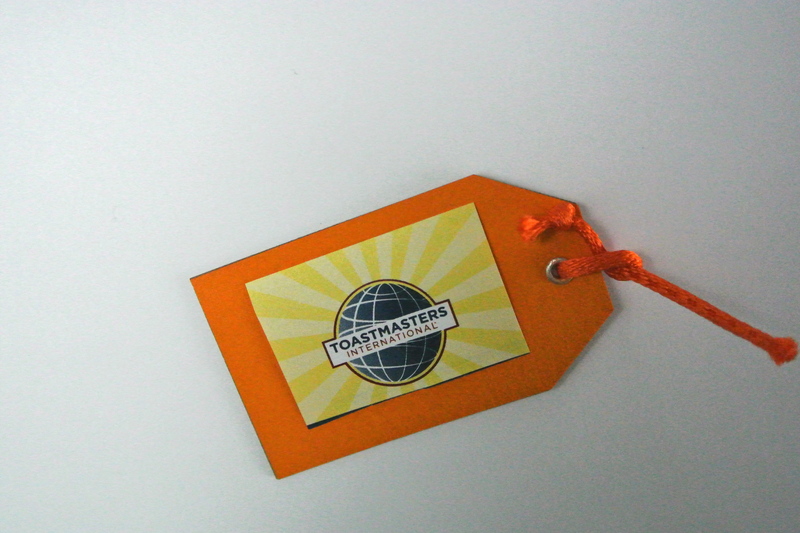 I am glad to hear that some of your students enjoyed hearing about Toastmasters. I admire you so much for being able to do this… talking in public is my biggest dread. Do you think it’s something you can learn even later in life, when you have decades of avoiding it behind you?! Like you, I’m naturally shy and introverted. I’m still scratching my head that I spent years teaching, that I’ve been onstage, been a lector in churches, been a guest speaker in workshops, and even delivered a couple of homilies in uni Chapel in times past. And survived them all. I was even invited to join Toastmasters along the way, but sadly couldn’t fit it into my teaching and art-commission schedule at the time, because I *know* I could’ve benefited from the collective wisdom of that organization (and I knew a couple of delightful and charming fellows who were local members). But I’m still pretty unnerved by public speaking and really have to get myself in gear for it, though thankfully the need is very rare anymore, especially since SD has made it more iffy for me than it used to be. But I was diagnosed with that little nuisance long before I quit teaching, so I know that’s survivable too (and there are famous SD patients who make their livings in public forums too, including radio work)–so who knows. In any case, I am quite certain I would enjoy your speaking engagements immensely, not only because you have experience and enjoy it but all the more because I know that in doing so you conquer some innate drives that are almost to the contrary! Cheers to you for that!!! Thank you Kathryn – especially for taking the time to leave such a comprehensive and supportive comment. I hope the SD doesn’t make life too difficult for you. One of the main reasons that I enjoy Toastmasters so much is because its ethos is to be supportive and encouraging.